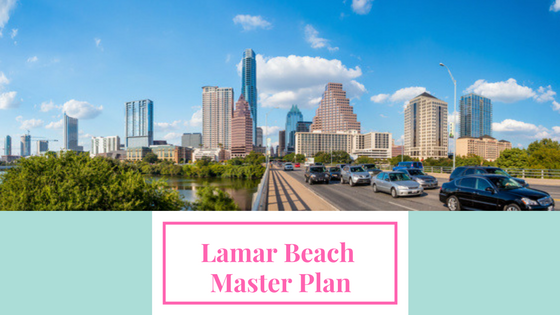 The Lamar Beach Master Plan is moving to the City Council for approval, the Austin Monitor reports. Haven’t heard of Lamar Beach? You aren’t alone. 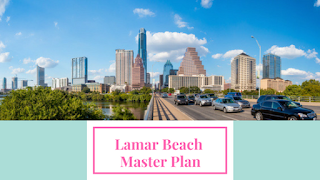 Lamar Beach is located between Lady Bird Lake to the south, TownLake YMCA and railroad tracks to the north, North Lamar to the east and Austin High and Mopac to the west. It comprises 65.4 acres of parkland and in June 2014 the Austin City Council passed a resolution to begin the Lamar Beach Master Plan. Austin Animal Center/Austin Pets Alive, YMCA, the West Austin Youth Association, the Texas Rowing Center, and Austin High School all provide public benefits and currently occupy the land. The number one goal of the project is to balance existing uses on the site with additional recreational opportunities that allow the site to be enjoyed by all to its maximum potential. There was never a master plan for the site, which has resulted in no cohesive plan for the area. The new plan recommends several infrastructure and trail improvements, and has an ultimate goal of realigning Cesar Chavez Street. The plan isn’t a cheap one, with the costs for just phase one forecasted to be $27.4 million to $35.7 million. The most expensive part of that plan is $18.9 million to $24.6 million for the animal shelter. The second phase of the plan is projected to be $37.5 million to $51 million, with realigning Cesar Chavez Boulevard the high ticket item at $27.1 million to $37.3 million of that total. You can read the whole plan here. However, the commissioners voted ten to zero to send the plan to the City Council, with one commissioner abstaining from the vote because she felt it wrong to spend money on recreational measures when affordability in Austin is such an issue. The area around Lamar Beach is one of the most vibrant in the city, and the additional improvements and realignment of Cesar Chavez will serve only to make it an even more desirable area. There are lots of apartments nearby that will allow you to enjoy the Lamar Beach now and when it is remodeled in the future. 422 at the Lake is an apartment community located just a mile from Lamar Beach. Their one and two bedroom floor plans feature washers and dryers, 10-foot ceilings, hardwood floors, granite counters, Nest thermostats, and floor-to-ceiling windows with solar shades. Amenities include a crossfit room, a tea and coffee bar, multi-screen sports lounge, Bocce Ball courtyard, social calendar with activities, enclosed bike storage room and more. 404 Rio Grande is three-quarters of a mile from Lamar Beach and has one and two bedroom apartments with upgraded kitchens with granite counters, stainless steel appliances, and pantries, crown molding, linen closets, washer/dryer hook-ups and private patios or balconies. The community features an elevator, outdoor fireplace, a fitness center, controlled access and more. Northshore Austin has a 24 hour concierge, a controlled access parking garage, executive conference rooms, a fully-equipped catering pantry, and an infinity-edge pool with private cabanas and sun beds. 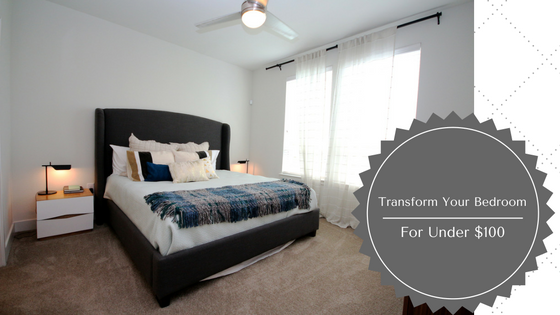 The one, two and three bedroom units have walk-in closets, quartz and granite counters, stainless steel appliances, engineered hardwood floors, floor to ceiling windows with incredible views, and compact fluorescent and LED lighting. 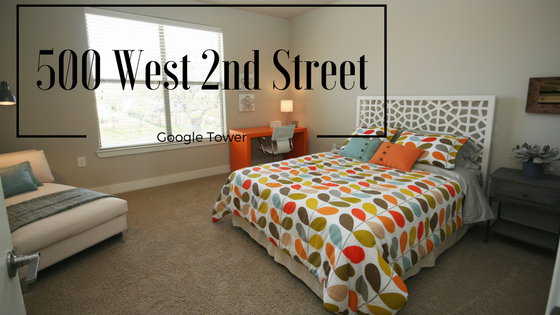 Ready to find your new apartment near Lamar Beach or beyond? Austin Apartment Specialists South Austin can show you every apartment in Austin in one appointment! Give us a call today at 512-912-8000! 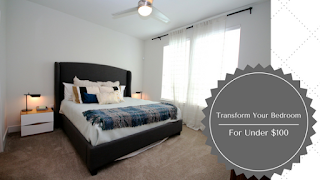 Looking to make some design changes to your apartment, but your property management company won’t let you make any permanent changes? Houzz.com has a variety of ways to jazz up your home without losing your security deposit and on a budget. Temporary wall decals are a great way to add color and pattern without paint or wallpaper. There are a variety of patterns available on Amazon. They even have quotes, flowers, and more. Another way to add pizzazz to your walls is temporary wallpaper, which peels and sticks to your wall without causing any damage. Some temporary wallpaper is even reusable, so check the packaging when you remove it, you could use it again and again! From wallpaper that looks like a distressed wood wall to wallpaper that functions like paint, there’s an option for accent walls, entire rooms, and pretty much anywhere in your apartment. Can’t hang art on the walls because you aren’t allowed to generate nail holes? Prop up your art against the wall! If the piece is large enough, you can just place it on the floor, or you can use a table, mantel, dresser, or desk. You can also hang art on your bookshelves for a chic look. Another option is to use a weathered door or shutter propped against the wall to hang your art on. Not really into the leaning look? Check out adhesive hooks! These wondrous little creations come in all different sizes, rated to handle different loads. If you love to add texture and privacy with curtains, but can’t put holes in the walls by hanging curtain rods, check out tension rods. These lovely little inventions fit inside the window frame and stay in place with springs, making them a great way to hang your window coverings. Another fantastic way to add color and texture to your space is to wallpaper your bookshelves with wallpaper, scrapbook paper, or wrapping paper. If you have built-in shelves, you can use temporary wallpaper instead. Finally, a screen is a great way to add visual interest to a space, whether you place it behind your bed, desk or your couch. A smaller version of an accent wall, you can just lean it in place or attach it to the wall using adhesive hooks. Ready to find an apartment you can make your own? 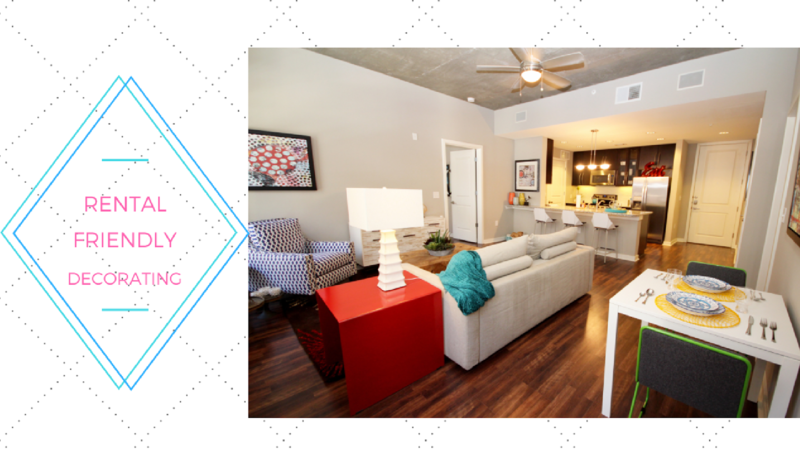 Give Austin Apartment Specialists a call today at 512-241-1111 and we can show you all the great apartments in Austin in one quick appointment! Rainey Street is one of the hottest neighborhoods in Downtown Austin. This is the place everyone wants to be because of its nightlife, proximity to downtown and the lake, and luxurious apartments. 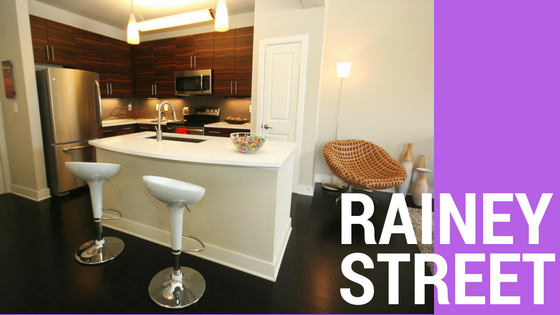 Find out why Rainey Street may be your new hood! There are lots of Rainey Street restaurants for nearby residents to dine at. No Va Kitchen and Bar is a casual restaurant serving classic dishes with a modern twist. They also focus on distinctive cocktails, including Cocktails on Tap. Their multiple outdoor dining areas and sleek interior mean you’ll find a place to relax and enjoy the cuisine no matter the weather. Banger’s Sausage House has an amazing, gigantic outdoor yard underneath gigantic live oak trees. They serve more than 30 varieties of house made sausage, over 100 draft beers, and have an off-leash dog park. Rainey Street bars are unique like Container Bar, which cuts an impressive figure with its three shipping containers stacked on top of each other to form the structure. However, Container Bar isn’t all looks. They also have killer cocktails and a large beer and wine list, including many draft beers. The Blackheart is a great place to enjoy a stiff drink and live music simultaneously. They have an extensive whiskey list, beer, wine, and cigars. There are many amazing apartments on Rainey Street with lots of luxurious, high-end amenities. The Millennium Rainey Street has studio, one and two bedroom apartments with floor to ceiling windows with views, wood-style flooring, oversized garden tubs, glass-front shaker cabinets, and quartz counters. 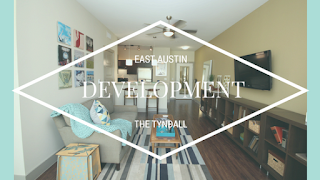 The community has a rooftop infinity pool overlooking downtown and Lady Bird Lake, a fenced-in dog park with dog washing stations, a state-of-the-art fitness center overlooking the pool, valet trash and so much more. See for yourself in this video of Millennium Rainey. Skyhouse Apartments is a high rise with studio, one and two bedroom apartments featuring open floorplans with nine foot ceilings, floor-to-ceiling windows with solar shades, hardwood flooring in the kitchen, living, and dining areas, granite counters, and large walk-in closets. Amenities include a rooftop pool with amazing views of Lady Bird Lake, a poolside terrace with outdoor tvs and fireplace, a skylounge with billiards and space for entertaining, relaxing or working, controlled access parking, and an onsite concierge. Windsor on the Lake’s one, two, and three bedroom apartments include 42” custom cabinets, floor to ceiling windows, granite counters, wood plank flooring, washer/dryer, walk-in showers, walk-in closets, and spacious verandas. The community has private garages available for rent, fitness center with strength and cardio equipment and towel service, bike racks, gated entry, and a gourmet kitchen and catering area. Looking to make the move to Rainey Street? Give Austin Apartment Specialists South Austin a call today at 512-912-8000 to preview all the amazing apartments in Austin!